There was a pep in the Wizards’ step with Dwight Howard’s return at the outset of Friday night’s homecoming of sorts against the Thunder. Unfortunately, the same problems that surfaced on the long West Coast trip they had just returned from haunted the Wizards again on their home floor. Russell Westbrook and co. took advantage, running away with a 134-111 victory and pushing Washington to 1-7 on the season. The Wizards started on a 13-3 run powered by Howard, who finished the first quarter with 13 points and tallied 20 points on the night. In a game that left plenty to be desired for the home team, the center’s first game in a Washington jersey was the biggest positive takeaway. Washington’s hot start fizzled fast, though, as Westbrook (who scored a team-high 23 to go with 12 assists) and the Thunder quickly responded by finishing the opening frame on a 28-13 run to take a five-point lead into the second quarter. From there, the Oklahoma City lead ballooned to 29 by halftime as the Thunder routed the Wizards in the second quarter, 44-20. At the break, Westbrook, Jerami Grant and Steven Adams had tallied 15 points apiece, while all 10 of the Thunder players to log minutes in the half scored at least one field goal. Only Paul George (17 points, seven assists) and Dennis Schroder (16 poinyts) joined the trio in double-figures on the night. By the end of the night, the Thunder lead had reached 34 points. Another lopsided result is not what the Wizards wanted in their return home from a difficult trip, but the problems on defense persisted Friday. Part of the issue was that Oklahoma City heated up from deep, shooting an uncharacteristic 46.9% from 3-point range and cashing in on 57% of their field goals total. On the other hand, the Thunder used 13 steals to help create 19 total Wizards turnovers, scoring 26 points off of Washington miscues. Bradley Beal’s 27 points on 10-of-16 shooting led the Wizards on Friday, while John Wall added 19 points and nine assists despite committing seven turnovers. Kelly Oubre Jr. led the bench with 14 points. It’s clear that the Wizards are still figuring out how to best communicate on the floor with some new faces on the team. Still, with the majority of their newcomers having plenty of veteran experience, they expected that learning curve to be shorter than it has been at the outset. Head coach Scott Brooks is still confident in that process. "I've been with the group for over two years, said Brooks. “We're going to stick together. We have a tough patch. We start the season with some tough games. Every team in this league, you don't go through it and keep going straight up." “I’m not hitting the panic button," said Beal. "I’m not hitting it and I don’t think we are either as a team. We understand it’s early. It’s not perfect and patience is running low from everybody, from ourselves. Nobody is more disappointed than us." 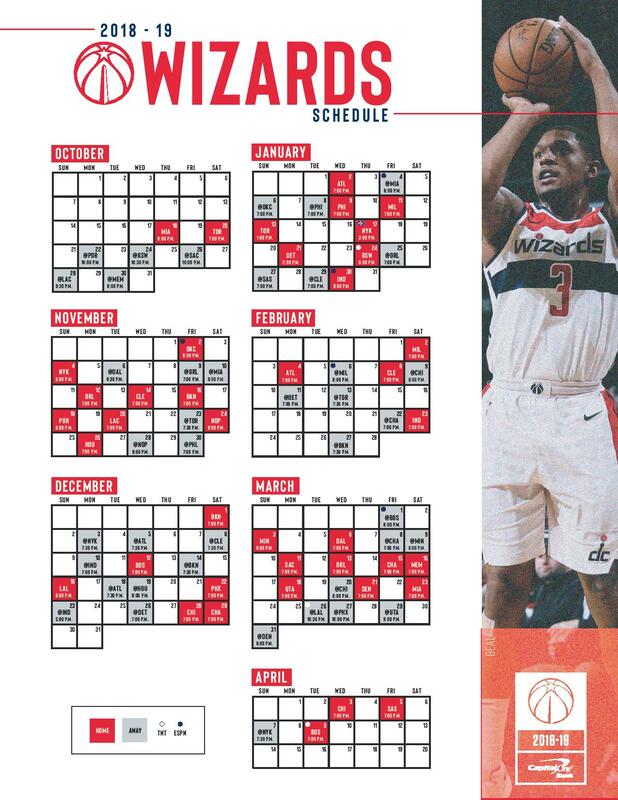 The good news for the Wizards is that there are still 74 regular season games remaining on the season. Washington’s next chance to start to right the ship will come Sunday on its home floor when the Knicks visit Capital One Arena. Tip-off against New York is set for 6:00 p.m.